Cabinet Refinishing by Cabinet Cures does not cover up your old finish. 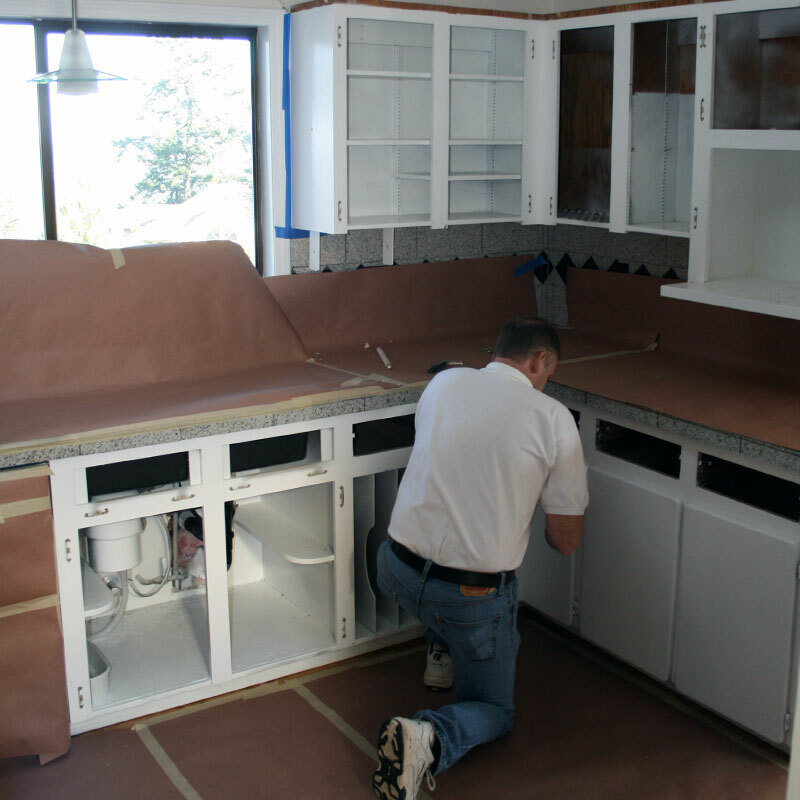 Instead, we use our refinishing system to transform your old cabinets without replacing the cabinet doors. 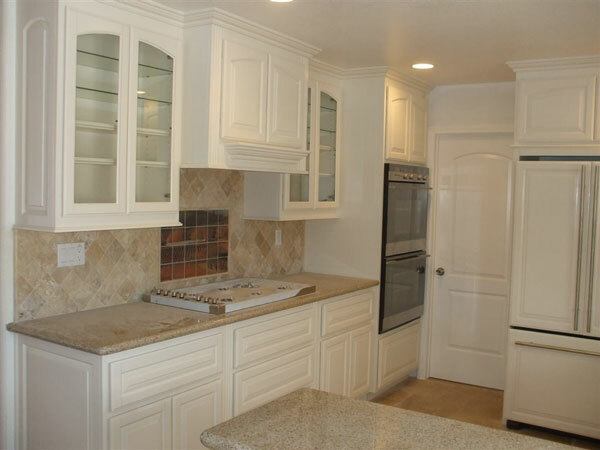 If you like the style of your cabinet doors and just want to refresh your cabinets, custom cabinet refinishing is a great way to accomplish this. When we reface your cabinets, we strip your cabinets down to bare wood by hand, removing the entirety of the old paint or stain. Then, we sand and stain them with custom designer stain you’ve chosen. All the work is done expertly by hand. Small space in a kitchen or bathroom is not a lost cause. Here are some helpful tips. 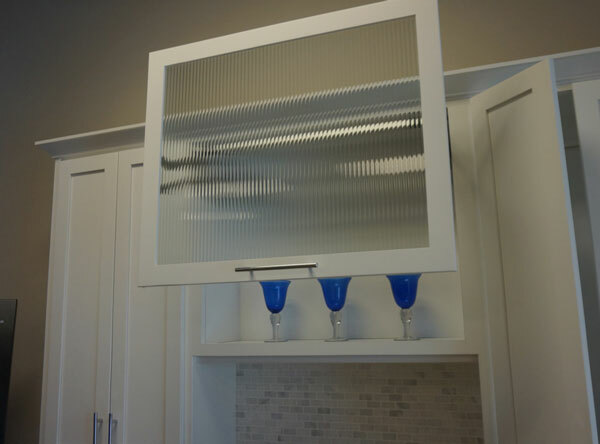 There are many different styles of glass cabinet doors to choose from. Here are some options. 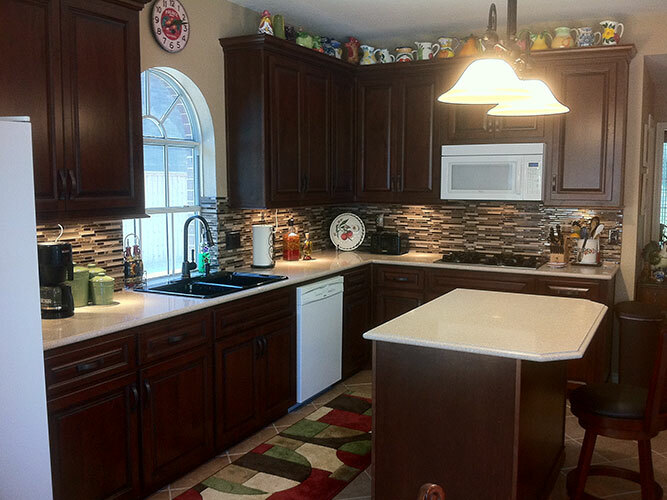 Starting with a classic style kitchen is timeless and its easier to develop a neutral color palette.